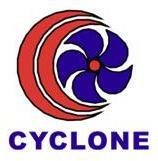 Cyclone Electric (CE) was established with its primary business activities focusing on manufacturing of high quality decorative ceiling fans. Cyclone Electric prides itself as a premium high end manufacturer, focusing on customer needs and satisfaction. Thus, our commitment for providing unmatched customer services has won the trust and acknowledgments from our valued customers. Cyclone Electric has a dedicated team of experienced designers and highly skilled engineers in the designing and manufacturing of ceiling fans. We are in strategic partnership with our Distributors and OEM players which enable us to maintain and provide the expertise in introducing new and cost effective products, such as new design, customized design, and value add, as well as following through quality servicing to meet the challenges of our customer's requirements and business objectives. We warmly welcome your enquiries for business partnership.